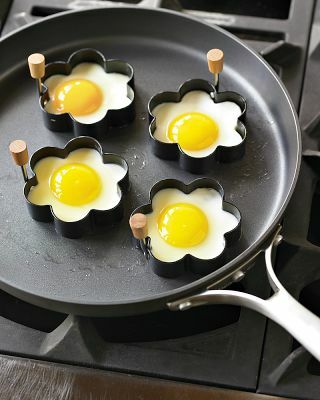 How cute are these daisy-shaped egg fry rings? They make it so tempting to eat half a dozen of these babies and clog up my arteries in the process. 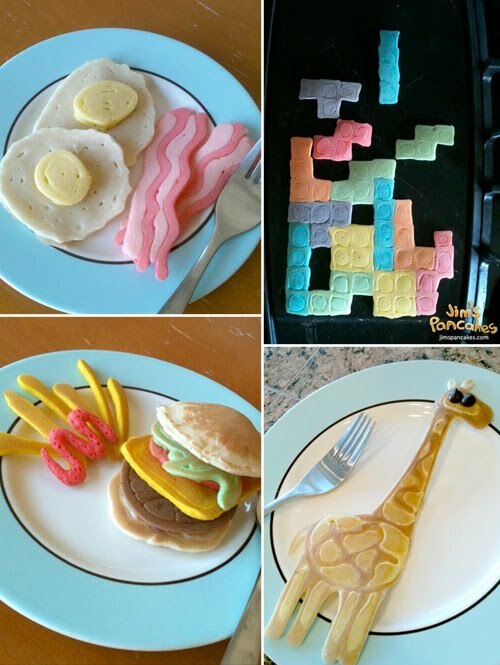 I wish my dad had time for this when I was little: Jim likes to make awesome pancakes for his three-year-old girl in the shape of cartoon characters, animals, games, anything. Kinda makes the regular ones look so unappetizing. 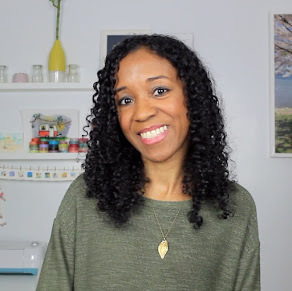 Mmm, I haven't had french toast in a while (pancakes are another story), but this cheery recipe looks like it'd hit the spot. Have you ever had yours with bananas and honey? And if you're not a lazy out-the-box chef like me, here's a recipe for banana pancakes, too. I'm not a coffee drinker, but this guide is pretty handy for those who can't wake up without their perfect cup of joe. 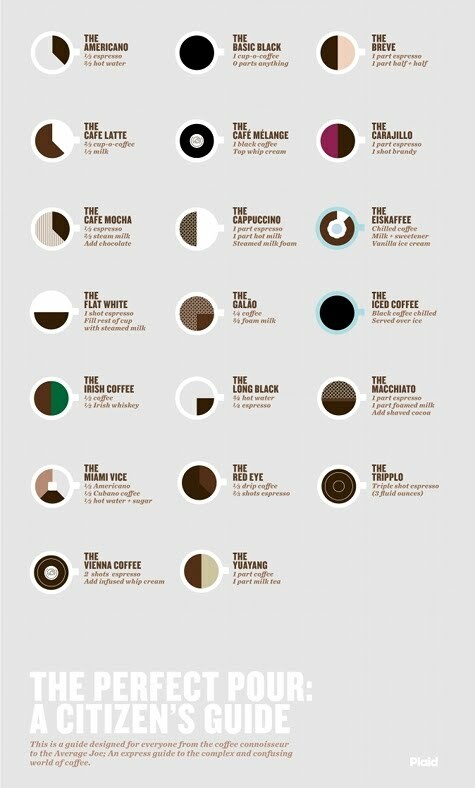 In the meantime, my jittery self will stick to the oj. 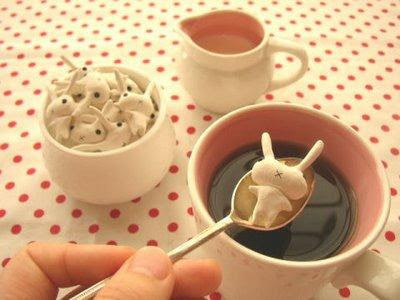 Yikes I don't eat breakfast, however these cute things make me want to! I'm up to about 1.5 miles without stopping. It's been way too hot some days to improve any faster. Its so obvious A. is a good influence on you. And you seem to be so much happier. And selfishly, I'm glad about that, 'cause that means your brilliant smile is showing more each day. I've been on a breakfast kick lately, too. If only I had the patience to make those awesome pancakes. Is that guy the coolest dad ever or what? Karaoke: Plain White T's, "1, 2, 3, 4"
Karaoke: Katy Perry, "California Gurls"
"July Should Be Our 'Get in Shape Month!'"